Smile Communications Nigeria limited has further pushed the notch of differentiation by giving practical expression to its status as an innovative full telecommunications services provider. The company which has always had a valid number range and can do voice just like any other Mobile Network Operator has been misconceived by some as an Internet Service Provider (ISP). However, Smile is the first Telecommunications service provider in West Africa to deploy the 4G LTE that enables it to provide the most advanced telecommunications technologies and standards available anywhere in the world using the 4G LTE network technology. Its launch of the true 4G LTE network in Nigeria and indeed in West Africa in 2013 revolutionized the way Nigerians access the Internet. Smile Nigeria, as noted by Godfrey Efeurhobo, the company’s Managing Director, in the recent past has unveiled a number of innovative Voice and Data services and is reinforcing its 0702 number range with the recent introduction of the lowest call tariff that allows its customers to make calls at 8kobo per second to any network from within and outside the country at the same rate, using SmileVoice App on any Smart Phone, and its 4G LTE SIM on Voice over LTE compatible handset. Smile, Efeurhobo stated ‘offers the best value proposition and experience to customers in Nigeria. 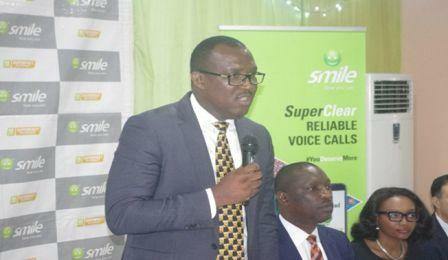 He stated that there are multiple benefits of using a Smile 4G LTE sim in the latest phones. “The Nigerian consumers” he stated, “can put their Smile 4G LTE Sim in the LTE handset, use their handset to make calls locally and to anywhere in the world, for Internet, video/music streaming/downloads and SMSs, all using one Smile bundle plan, which is a first in this market. Beyond innovative practices driven by technology, Smile has also taken another bold step by way of a series of brand building initiatives, the latest of which is the adoption of Brand Ambassadors. The first to be signed on as a Brand Ambassador for Smile is the versatile Radio/TV personality Mr. Steve Onu popularly known as Yaw. The choice of Yaw as brand ambassador for Smile Nigeria is coherent with Smile’s values for innovation, creativity, versatility and values of reliability, respect and service. 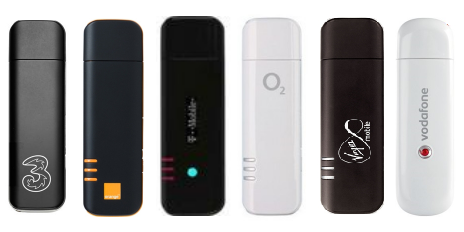 Efeurhobo stated that the new brand-positioning proposition accentuates Smile’s quest to expand its scope of operations, provide its customers with unrivaled quality service and contribute meaningfully to the growth and development of mobile broadband penetration in Nigeria. These initiatives of Smile are designed to further entrench its position among the leading telecommunications companies in Nigeria. He also added that Smile remains the only telecom provider that allowed Voice calls and sms from a data package and the benefits include 8k / sec from home and abroad on the SmileVoice Only plan, free calls from aboard on the SmileVoice app which is available on the IOS and Google play store and many more and this gives Smile the unique positioning of offering bespoke and affordable propositions for Nigerians. A multiple award-winning firm, the company is present in key Nigerian cities including Ibadan, Lagos, Abuja, Port Harcourt, Benin, Kaduna, Asaba and Onitsha. Smile Nigeria was founded in 2008 with the transformative objective of using the best and most innovative technologies to provide its customers with high quality, easy to use and affordable communication services. Its vision and mission is to be the Broadband provider of choice in Nigeria and enable its customers to fully benefit from the Internet world. Since it launched West Africa’s first true 4G LTE network in Ibadan in 2013, Smile has received accolades for its pioneering and innovative works. In October 2015, Smile became the first operator in West Africa to offer its customers Voice over LTE services thereby ensuring for them access to the growing global standard for voice and video calling. Recently, the company was adjudged the Best Premium Quality Super Fast 4GLTE Mobile Broadband Service Provider of The Year 2016. This latest award followed in quick succession the earlier recognition of Smile Nigeria as ‘The Most Innovative Broadband Service Provider of the Year’ at the 2016 Titans of Tech Awards.